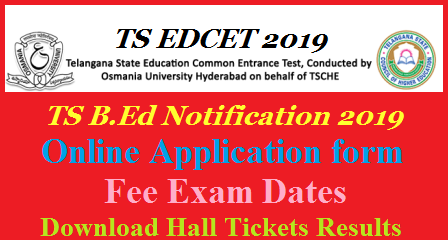 ELIGIBILITY TO APPEAR FOR TS Ed.CET-2019. Candidate‟s satisfying the following requirements shall be eligible to appear for TS Ed.CET-2019. The Candidates should satisfy Local/Non-Local status requirements as laid down in the Telangana Educational Institutions (Regulation of Admission) Order 1974 as subsequently amended. Candidates should have passed/appearing for final year examinations of B.A./B.Sc./B.Sc. (Home Science)/B.Com. /B.E/ B.Tech /B.C.A./B.B.M/B.B.A at the time of submitting the Application for TS Ed.CET- 2018.Candidates should be required to produce marks memo and pass certificate at the time of admission. Candidates should have secured a minimum of 50% marks either in the Bachelors Degree i.e. B.A./B.Sc./B.Sc. (Home Science)/B.Com./B.C.A./B.B.A /B.B.M or in the Masters Degree in relevant subject or 5years integrated course in the relevant subject of methodology or any other qualification equivalent thereto. Candidates should have secured a minimum of 55% marks in B.E/B.Tech with Science/ Mathematics as one of the subject or any other qualification equivalent thereto, are eligible for admission to the programme. However the candidates belonging to all other reserved categories i.e. S.C., S.T., B.C. (A/B/C/D/E), and physically handicapped should have secured a minimum of 40%marks in the qualifying examination. Note: As per the GO MS No:13 dated. 27/5/2017, the candidates possessing M.B.B.S /B.SC (AG))/ BVSC/BHMT/B.Pharm and such other professional and job oriented degree courses viz., LL.B are not eligible for admission into B.Ed course. TS Online/AP Online Centers in Telangana State or A.P. Payment Gateway. After filling the online Application form with the required details, verify all the details carefully and press Submit button. Filled in the Online Application Form will be generated of which contains registration number along with filled in details. Take print out of filled in Online Application Form. Use the Registration number for future correspondence.